Vitamin D3 supplementation may have beneficial effects in treating high blood pressure. Vitamin D3 is most known for its bone restoring effects. More studies continue to show its vital role in many other conditions. Where Do you Get Vitamin D3? Usually vitamin D is obtained from sunlight exposure. After a few chemical reactions, your body will covet the sunlight to Vitamin D. Here are the kickers. Your location, time of day, season, skin color, and job all factor in the amount you produce. Let’s face it. It’s hard to get any sun when you’re stuck at your desk all day. Luckily you have the option to supplement with Vitamin D3. And if you have high blood pressure, then supplementation is may be for you. How can Vitamin D3 improve hypertension? Vitamin D3 helps increase the amount of nitric oxide in your blood vessels. Study link here. Nitric oxide is an important vasodilator. Essentially, nitric oxide will signal the blood vessels to relax or increase in circumference. Take a balloon for instance. At first, it’s hard to blow up. After stretching the balloon, it’s much easier to blow up the balloon. Nitric oxide is similar to the stretching effect of the balloon. The blood vessels become more pliable for easier blood flow. 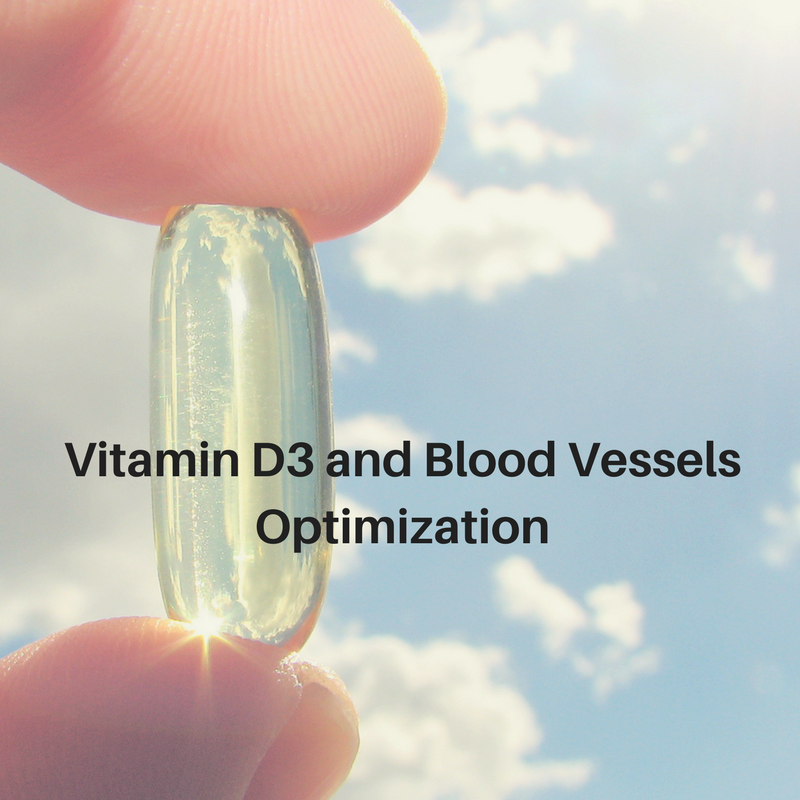 Vitamin D3 decreases oxidative and nitro-oxidative stress in blood vessels. Both increase stiffening and narrowing of blood vessels. Vary amounts of nitric oxide are needed in times of stress and relaxations. What controls the release of nitric oxide? Nerves. The electric wiring of your body. Nerves communicate to blood vessels when they are free of obstructions. With proper communication to blood vessels, blood will flow normally. Abnormal blood flow can factor in migraines and headaches. Therefore, people who suffer from migraines and headaches often have a throbbing or “achey”sensation in various areas of the head or behind eyes. This happens because an obstruction exists on the nerve causing abnormal blood flow to those areas. Once the obstructions removed, blood will flow normally in blood vessels. This is similar to a water hose. If you step on the hose, the flow of water will stop. Removal of the obstruction will cause the water to flow freely from the hose.